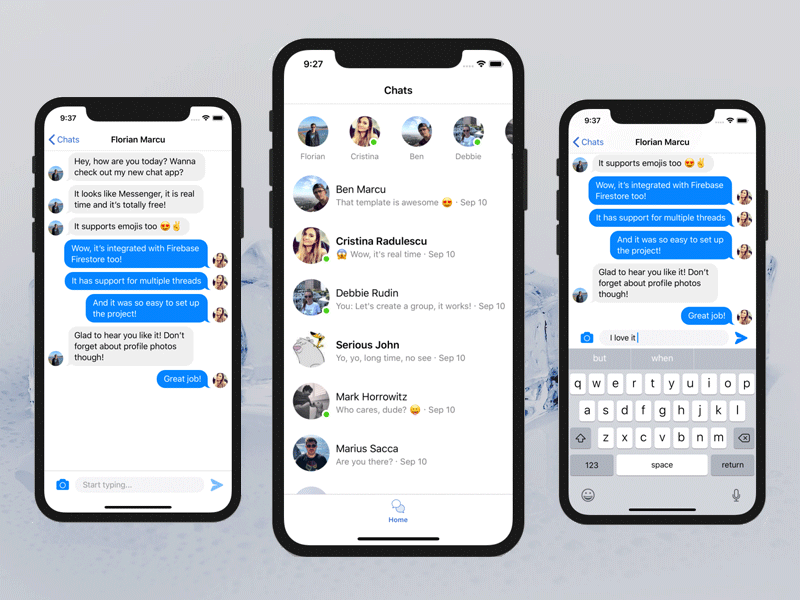 This sample iOS app written in Swift 5 is a starter kit for integrating push notifications with Firebase Cloud Messaging. 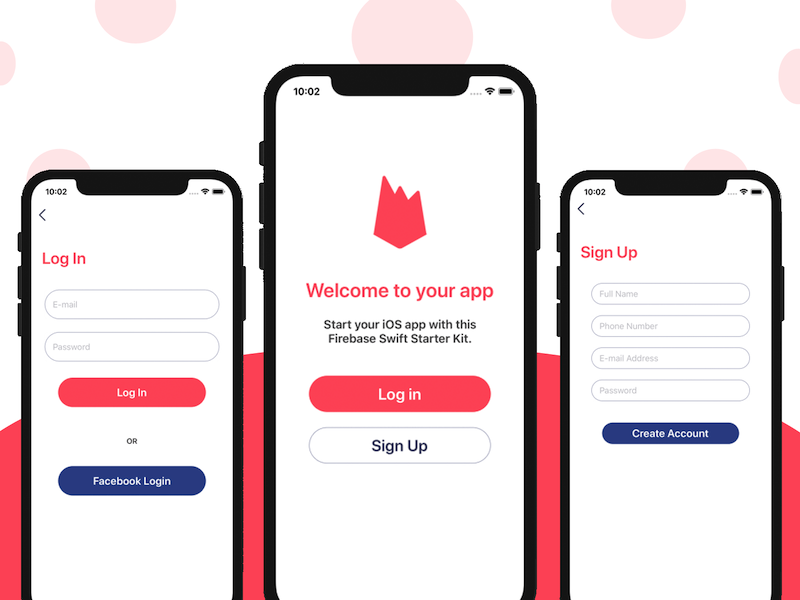 Sending Firebase push notifications can be done in only a few minutes by using this complete Swift starter kit. 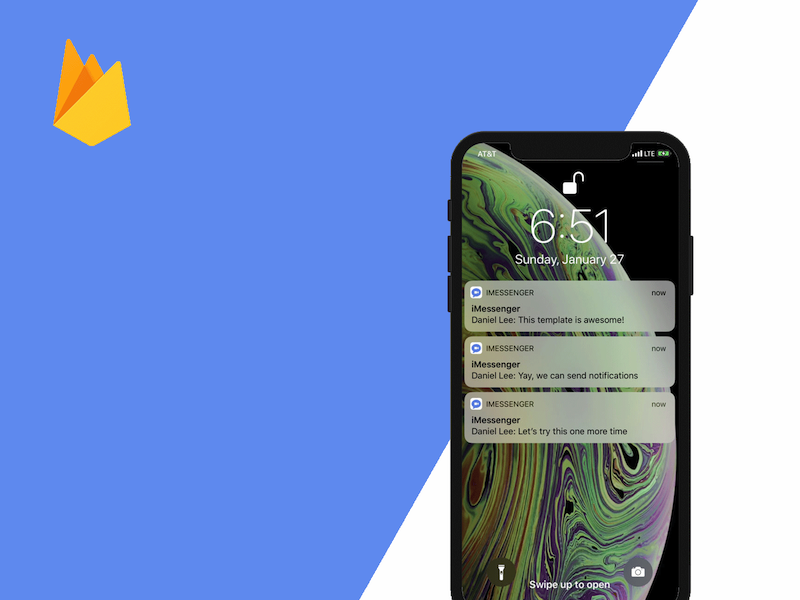 Whether you’re looking to learn how to implement push notifications on iOS or you’re adding remote push notifications to your iPhone app, this Starter Kit will save you a few hours of pain. Don’t reinvent the wheel. We are using this exact example code to send out push notifications for our iOS messaging apps, such as the Chat app and the Dating App. 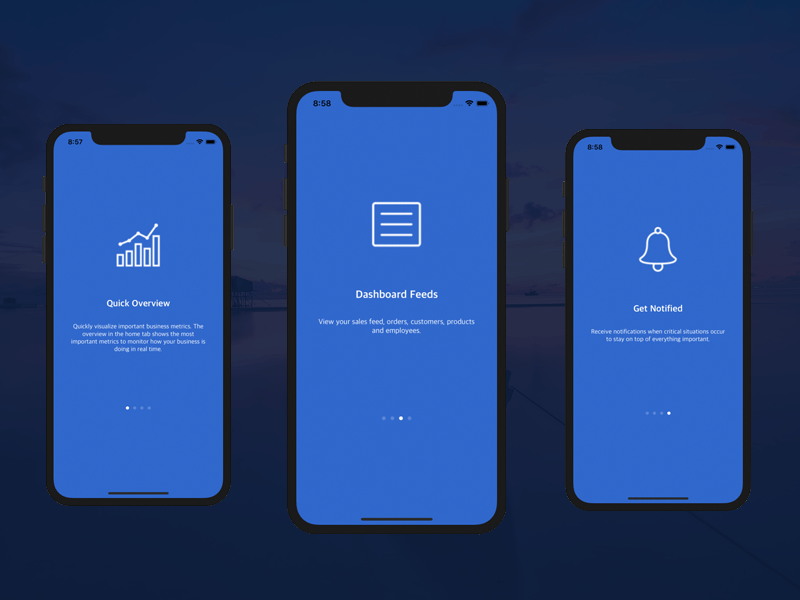 Before running this app, please make sure you’re following all the configuration steps to set up push notifications support for your Apple & Firebase accounts by following our detailed push notifications tutorial. Implementing Push Notifications in Swift with Firebase has never been more straightforward. 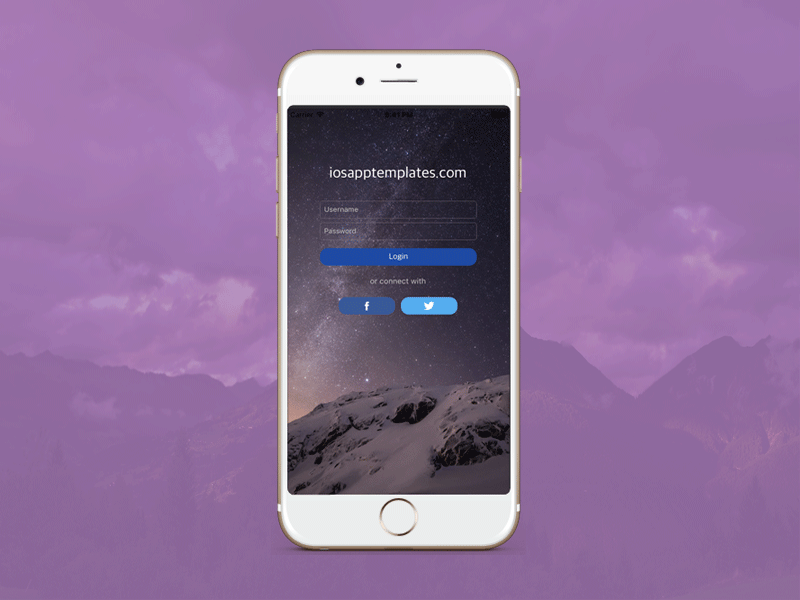 Just download this free starter kit and start sending remote push notifications to your users.